CUNRENO's booth, featuring 2706 items, including Pair Mikasa Crystal Marquette Votive Candle Holders - (SKU#1669), Nevada Collector's Plate with Fluted Gold Rim - Reno, Nv. (sku#1676), Limited Edition Bells by Norman Rockwell and The Danbury Mint - (sku#1746), Copper & Brass Coal Bucket with Bale - (sku# 1711), Used OMC Tea Pot & 4 Cups - Japan Potcelain Tea Set - Hand Painted - (sku# 1820), Lamplight County by The Late Thomas Kinkade - Second Issue - (sku#1720), Nevada Collector's Plate with Gold Rim - (sku# 1674), LAMPLIGHT LANE BY THE LATE THOMAS KINKADE - THIRD ISSUE PLATE - (Sku#1719), Miniature Mantle Clock - (sku#1643), Avon Hobnail Milk Glass Bell With Sweet Honesty Cologne - (sku#2068), THE ANNIE COLLECTOR'S PLATE SERIES - FIRST ISSUE -ANNIE AND SANDY (sku#1785), NORMAN ROCKWELL - LIMITED EDITION PLATE - THE COBBLER - (sku# 1786), NIB 1974 HUMMEL - GOOSE GIRL - GOEBEL ANNUAL PLATE - (sku# 1665), AVON MOONLIGHT GLOW ANNUAL BELL - CIRCA 1981 - TOPAZE COLOGNE (sku#2045), NIB 1978 HUMMEL - HAPPY PASTIME - GOEBEL ANNUAL PLATE - (sku# 1663), AVON 1980 CRYSTAL SNOWFLAKE BELL FILLED WITH CHARISMA COLOGNE - (sku#2067), AVON ROSEPOINT BELL - FILLED WITH ROSES, ROSES COLOGNE - (SKU#2079), Vintage Cross Stitch Sampler - (sku# 1695), California Collector's Plate with Gold Rim - Lake Tahoe - (sku#1675), AVON CRYSTALSONG BELL - SONNET COLOGNE - (SKU#2080), QUARTZ TRINKET OR DRESSER BOX WITH LID - (sku#1433), NIB 1975 HUMMEL - RIDE INTO CHRISTMAS - GOEBEL ANNUAL PLATE - (sku# 1664), GLASS BELL - VERY COLLECTIBLE - SKU# 4405, JAPANESE LUSTERWARE TEA POT - GOLD & WHITE - (sku# 1139). A notification has been sent to CUNRENO about your wish to chat with them. If they are available, they should be around within 5-10 minutes. 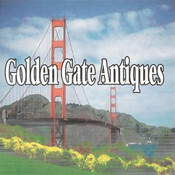 Showing 40 products in "Decorative Collectibles"